In its September 2017 Bulletin, Freddie Mac updated its appraisal requirements. One change worth noting is the use of MLS photographs for comparable sales. Freddie Mac now allows copies of MLS photographs to be used for comparable sales without an explanation from the appraiser. While most appraisers welcome this change, others believe that this is another step to remove the appraiser from the process. You still need to inspect the comp from the street, how is using MLS photographs going to save time? Inspecting the comp, IMO, is part of confirming data. MLS photographs don’t tell the whole truth and agents certainly aren’t always forthcoming, though I’ll say the buyers agent is usually more honest than the sellers agent. Inspecting comps isn’t perfect, but neither are MLS photographs and conversations with agent, but when all three are done, you have done your due diligence when it comes to verifying data. Previously, copies of MLS photographs could be used for comparable sales only if the original photographs could not be obtained. Additionally, an explanation was required by the appraiser as to why MLS photographs were being used.To provide flexibility and create efficiency in the appraisal and underwriting processes, we are removing these requirements and now allow clear electronic images, including copies of MLS photographs, to be used for comparable sales without an explanation from the appraiser. In response to Seller inquiries we are specifying that an unlicensed or trainee (or similar classification) appraiser may perform and sign an appraisal report in accordance with State law. We are also specifying that an unlicensed or trainee (or similar classification) appraiser may perform a completion report as long as a supervisory appraiser also signs the completion report.Loan Product Advisor has been updated to reflect this change. 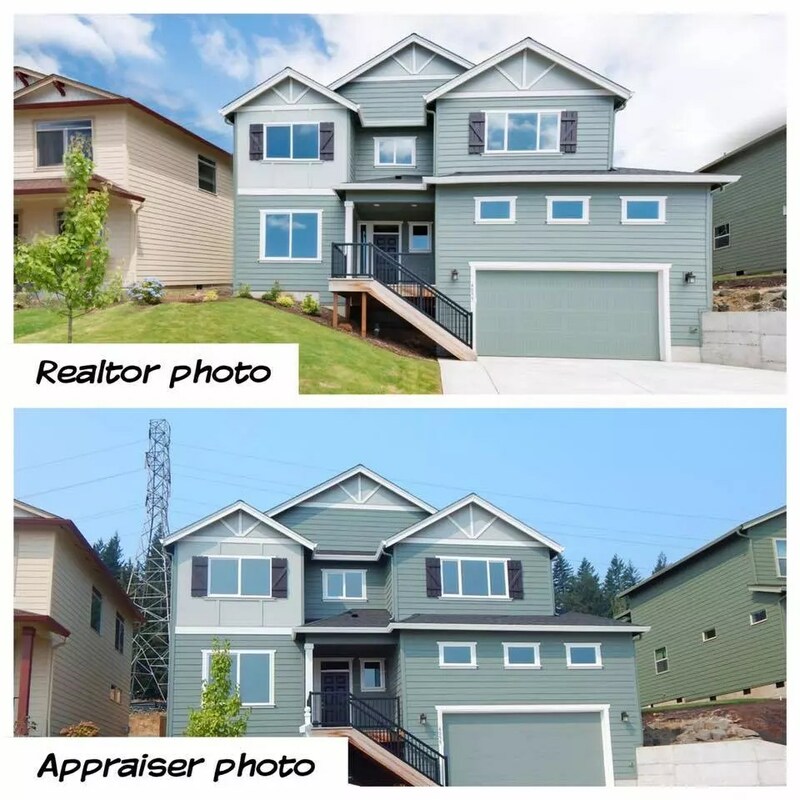 Let’s not pretend that there are appraisers out there that are using MLS photos and still driving by the comparable property. I have learned a lot about a comparable just by driving by it. We need to remember that MLS photographs are for marketing purposes and are not always recent and can be alter by the listing agent. While the use of an MLS photograph for a property that is not visible seems logical or if there were kids playing in the front yard at the time you drive by. I just don’t see this being a move in the right direction for the appraisal industry and I think this will just allow already lazy appraisers to produce inferior quality work. While I understand your thought process and reasoning, you do not have the ability to go back in time to when the property was sold. That is the date of review that matters based on your opinion of observation. I should have been more specific but I am speaking more about the location. Proximity to busy street, commercial influence, power lines, etc… While the appraisers who are using MLS photographs will tell you that they use goggle maps to view the comparable location, you can not truly understand locational influences without being there. At least that is my experience. I have reviewed many appraisals in which MLS photographs were used and it was very obvious that an exterior inspection was not completed as the location was not accurately depicted in the report. Freddie Mac and Fannie Mae can both allow MLS photographs to be used but I will always take exterior photographs of comparables and feel I have completed the appraisal in a manner which all my clients are expecting. Frank, I’m an advocate of original photos and whether I opt for an mls photo or not, I’m still driving by all my comparables. Doing one right now. Comp has very high hedge and fence (over eight feet). across front and along side street to the detached garaged facing the apartments across the street. I took two photos (front and side street aiming to rear of improvements). Neither is as good as the mls photo taken inside the gate before it sold. My retrospective date was over a year ago. Some of my comps have clearly been ungraded/renovated since. In this instance, I’ll give both my photos and mls but for fees most get paid today, I would not expect all appraisers to do that. What I DO hope all appraisers will do is add a comment specific to the comparable that one would most likely only know from being out there. Otherwise, the tech geeks and software whores will win the battle to convince FNMA and legislators that modern tech can replace appraisers. Its a residential sub-area in Fairfax Area of Los Angeles-like a ‘downtown’ in any other huge urban city. You still have to drive by the comp so why not take the pic while your there? Frank Cox is right on point too! Just had a conversation with a realtor recently and basically told him that the day they start putting accurate data in their listing and MLS photos being used for comps is the day I lose my career as the computers and AVMs will for sure take over then. Lets see. The Realtor photo does not show the power line in the rear. The appraiser photo does. The Realtor will always show a power line in photo. We know how honest Realtors are…..
Braden, most mls have similar rules about honesty and disclosure too. The problem is that enforcement of those rules is not uniform. Too rigid and the mls lose members. Too lax and we have the present situation where few take anything they see in mls as being reliably credible. The solution lies in teaching your members (all mls members) (1) to fill out the input forms completely. (2) to cease deception as a business practice. Do they seriously think the potential buyers of that house wont see the wires or be offended at the agents dishonesty? I’ve walked away from property purchases I wanted for no other reason than the agent lied to me. I will not knowingly deal with liars. Join us in the effort. Try to convince your mls to teach agents to fill out data sheets completely and honestly. I have found over the years that sometimes you go to take the comp photo and the property has been totally remodeled, or may not even exist anymore. I cases like that I always put in the original MLS photo to show what it looked like when purchased, and naturally discuss any changes. As everyone should in that case, but the issue is using an MLS photograph when there is no reason not to take your own photograph. I agree, there is no reason not to use original photos, especially now that the lenders accept digital photos, which they didn’t years ago. I remember spending $6000–8000 a year for film and developing. Wish I had it all back. ? Exactly! In most cases, a house which sold 6+ months will be different than it was at time of sale, which is how the Comp pic should look like…. the way it did at time of Sale. Mary I agree (my areas houses change in less than three). I believe you are misleading the reader of the report with a current photo of the comparable. Keep your comparable photo in the workfile and use both if the MLS photo doesn’t show something of significance. When going the route of providing both (MLS/Current) there was so much blow back from my clients I just stop. Mary Neal, I get the sale date argument, however it (mls) is not actually how the property looked on sale date. It is how the property looked when it was listed. On a 3 to 6 month listing that may have been very different than on sale date. You raise a valid point anyway, but lets not mislead ourselves or others. I think its good practice to take original photos as it helps meet the smell test (did the appraiser drive the comps), however if I’ve driven a street a hundred times, and perhaps even drove it on the same day as the inspection, should I be required to go back and take an original photo of a sale I later needed? For many lenders and AMC’s, they could care less that the request is a 1.5 hour round trip (traffic jams). So your justification is that I’ve driven down that road before so that should count as meeting the criteria of making an exterior inspection of the comparable property. I think the bigger picture here is that we are putting the appraisal industry in further jeapordy by taking short cuts. I wouldn’t say that appraisers should never use MLS photographs, because I believe they do have a place in the reporting process, I just feel that allowing the unconditional use of MLS photographs is going to make the LAZY appraiser even LAZIER and shift the bottom end of the appraisal industy further from the top. I am one of those old school appraisers that never liked using mls photos except under clearly explained necessary circumstances. However, as I’ do more and more large commercial or industrial assignments I find that my street photos usually cannot compare with aerial or satellite images. The same often holds true with estate or luxury sfrs. Aside from gates, high shrubs and fences, often the size of the sites are so large that simple car window level photos just do not capture important aspects. Having said this I also recognize mls photos have long been used by lazy appraisers that never bothered to inspect the property. Perhaps the very ones that claim to regularly complete 2 or 3 full appraisals per day. Like everything else in our profession it is up to those honest professionals to set / maintain the standard and not take inappropriate ‘short cuts’. I will at continue to take photos of unique conditions that affect the comparable in support of my analyses. I will continue to comment about about comparable wide boulevards (on the maps) that are not busy streets as hinted at by maps. I see this as a warning to us all that we need to add more, rather than less explanation about comparables. If for no other reason than to identify situations where AVMs would never catch what the appraisers eyes and brain do. I keep ‘thumbs view’ MLS photos page in my reports, thereby proving my pictures are not MLS photos. Just because the biased private bank managers whom run the gse say it’s o.k. to have reduced ethics does not make that o.k. for an individual. Define your own ethics. Appraisers running their business based on only minimal standards compliance are proving their irrelevancy with each and every ‘see addenda’ report. The private lending mis management gets bolder and bolder with each doj case that does not result in high level corrupt lending and banker managers going to jail. When the trillions of unfunded derivatives come forth, they need to tank the entire real estate industry to provide market corrections just to keep the dollar afloat. You can see this train coming very far down the tracks. Everything appears to be moving right on schedule. Baggins, you do not have to PROVE you did not use mls photos as long as it is disclosed that you did. Now apparently freddie has said even that isn’t necessary/ I dont believe ethics are variable or subjective. We all know what is right and what is wrong. In the historic case of mls photos it has been an issue of deception that was the problem. My mentor inspected about every 4th one early on and then we’d discuss it afterward. After the first year or two he still inspected-but it ws about every tenth one. It just keeps bad habits from becoming ingrained. I never once inspected without mentor, and earned every hour properly with full inspection, ride along, review, report and research help, etc. An invaluable experience because inspection is more than just notes and photos, it’s also art of the deal and managing various interested parties if they have misconceptions about appraisal practice. The appraisal industry at large has moved away from sensible detailed appraisal to something much less valuable. Honesty is always the best policy, it’s o.k. to sub now and then but not as a standard approach to save time. Baggins- I understand. Did you have more than six years prior experience as an agent inspecting property when you started? Did your father use to take you along on open houses or other related RE tasks? Did you study the actual state manual for RE while stationed overseas before entering the RE field? We all have different backgrounds. No one way works best for everyone. I trained lots of people before and after licensing. You hold their hands as long as is needed, but no longer than that. Some get it in half a dozen inspections. The most informative lessons come as a result of driving around with them AFTER their draft report and pointing out all the things that are concerns. Then letting them correct them. For them it was all about setting up the research first, quality detailed inspection, then drawing up the report. Try to pick the best comps in field same day. We ran a back and forth method with report development, shuffling and sharing of reports for various contributions until completed. A real legitimate office place and team effort. As time passes, the duties and responsibility increase. Lots of red pen at first and those are effective teaching methods. The art of learning the language of real estate. Talk it during inspection, write it up later. Different backgrounds different measures but I maintain the opinion it’s generally risky to have training allowances because it’s not that big of a deal or challenge to run a traditional hands on mentorship program. The opposition to quality time consuming hands on training I think is over exaggerated. For allowances the abuses outweigh the benefits. If not for the ‘puppy mills’ there would be more quality appraisers today with more industry strength. Yet, here we go again. Fond memories. I used to prep trainees NOT to get discouraged by number of errors I expected to find in first report. Specifically Id tell them 150 were what I expect the first time; cut down to around 50-100 second time and hopefully about 25-50 leaning toward lower end third time. They never believed they’d make that many til they saw the red pen come out and first five shocking minutes. Always had to keep reassuring them while it was going on. After that a report might still have 10 to 25 ‘corrections’ but they were not always for errors- sometimes merely different perspectives and voice of experience. Always told them not to be afraid of any errors other than repetitive careless mistakes. Absence of ‘errors’ just meant they weren’t using their minds; but instead were relying on mine. That was never the objective.